of interest, and if there’s anything that you’d like to discuss, please send us an email here or give us a call! 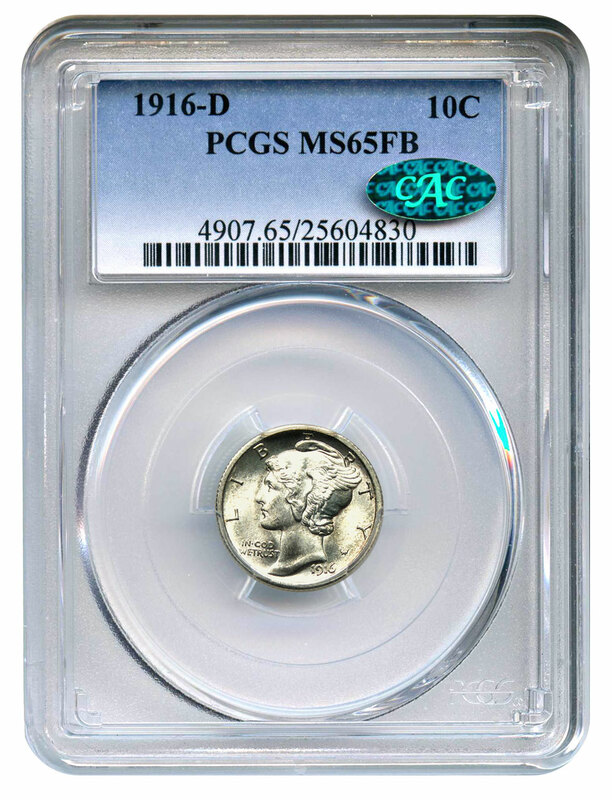 Why we love it: The 1916-D is the key to the Mercury dime business strike set and one of the most popular of all U.S. 20th century coins. 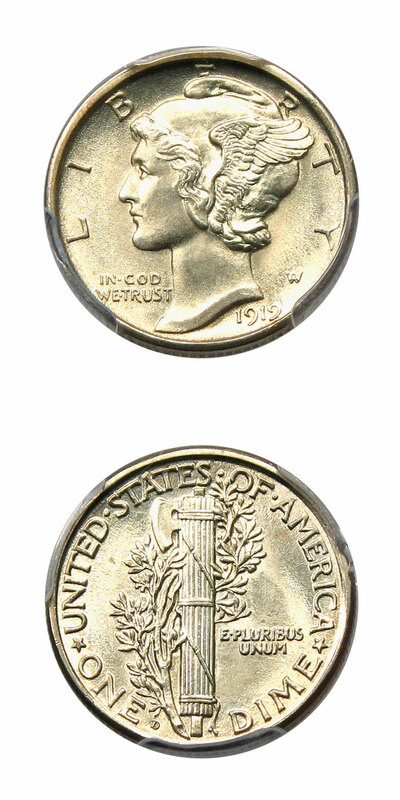 Gem examples of the 1916-D dime are extremely elusive and seldom come to market. 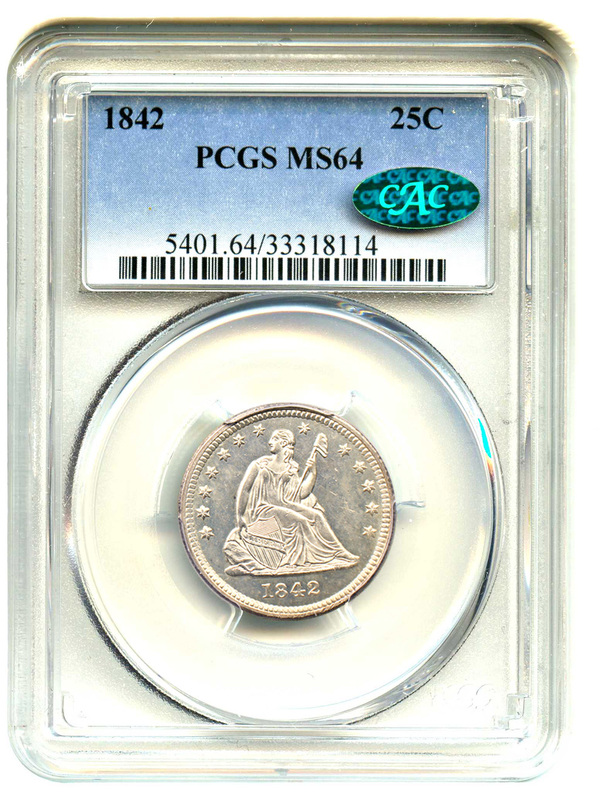 In fact, this is the first PCGS MS65 FB we've ever offered in 5 years and the finest CAC’d example that we’ve ever handled. Value: CAC-stickered coins only come available once in a blue moon in gem grades. This fantastic example is a great opportunity for the advanced collector and is reserved for just $48,500 in this week’s auction. Why we love it: We love this date of Standing Liberty quarter in all grades, so we have a great appreciation when it comes available in such superb condition as this coin. Beautiful satin luster envelops both sides of the coin and shines through faint shades of apricot and cream toning. All of its full head designation attributes are sharp and unquestionable. Considering there are all of four coins finer at PCGS, this coin is the final stop for most collectors seeking the date. Value: With only four coins graded finer by PCGS, this is an exceedingly rare grade on one of our favorite dates. 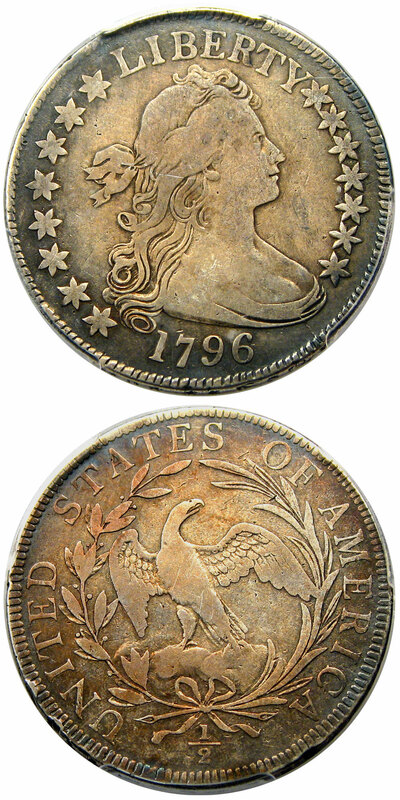 The most recent auction records for the date come in at $10,281 for a far inferior coin eye-appeal wise. With our further discounted price of $10,500 via Make Offer, it should be an excellent opportunity for a seasoned SLQ collector! Why we love it: The 1889-CC is one of our favorite dates in the Morgan series, no matter the grade. Long recognized as a scarce issue for even the advanced collector, DMPL versions occasionally enter the market, but never with such flashy fields and incredible eye appeal. In fact, it’s even nicer than the 64 DMPL we handled some years ago. 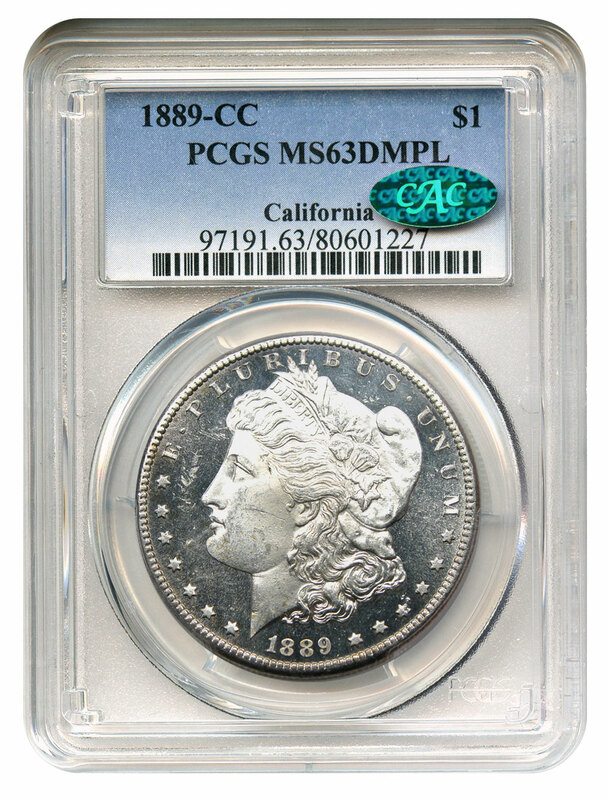 It is a lovely piece from one of the most renowned Morgan dollar collections of the 20th Century, the California Collection. Value: This is one of our favorite coins that we’ve offered in quite some time. Now available for a discounted price of $61,500 via Make Offer, this is a purchase that even the most astute collector/investor would not regret. Why we love it: The 1919-D is one of the absolute key dates to the popular Mercury Dime set, and we have never offered one of higher grade or with nicer eye appeal. The combination of a golden tint with a gorgeous strike makes this coin an absolute stunner on all accounts. Value: Only two examples have been offered in the past five years in public auction, and none have been as attractive as the present. This coin is sure to please the most astute of collectors. It is available for direct sale via Make Offer for $21,500 as this week’s discounted CWL. 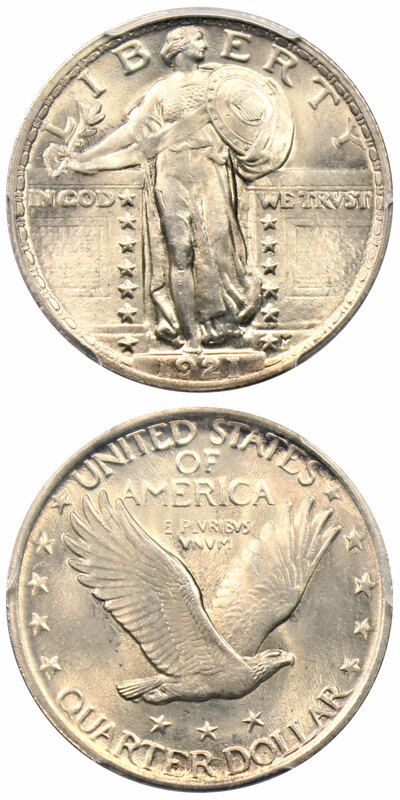 Why we love it: In our experience, the Small Eagle Draped Bust half dollar type is the rarest in United States silver coinage. Any opportunity to acquire an example is rare, and this coin is a prime specimen for the serious numismatist. PCGS describes the coin as VF details with a repair, yet we have thoroughly examined this coin and can find no reasonable flaw to warrant a non-numeric grade. Beautiful old silver surfaces cover both sides, and the strike is lovely for the type with good hair detail on Liberty and feathers on the eagle. We cannot figure out how to further express how rare and coveted this coin is other than to say that we will not be able to replace it any time soon. Value: This coin is a fantastic rarity that we’ve not handled in quite some time. An unadulterated VF would cost well over $90,000 in today’s market, making this high quality coin. Available for $64,500 via Make Offer, this is a great deal for the serious collector. It qualifies for our extended layaway plan if you need a little extra time. Why we love it: This coin has all the right ingredients to be a great long-term acquisition. The low mintage of 88,000 coins is magnified by the staggering statistic that there are 26 coins in all grades of uncirculated at the services combined. A stunning strike over radiant Proof Like fields made us take special note when we bought the coin. Bested by no other at PCGS, it's one of our absolute favorites in inventory right now. Value: Sometimes we have to ask ourselves, “why has this coin not sold?” most of the time we can figure out an answer that may satisfy us. Although, this coin we truly have not figured out, as we would buy it back in a heartbeat! 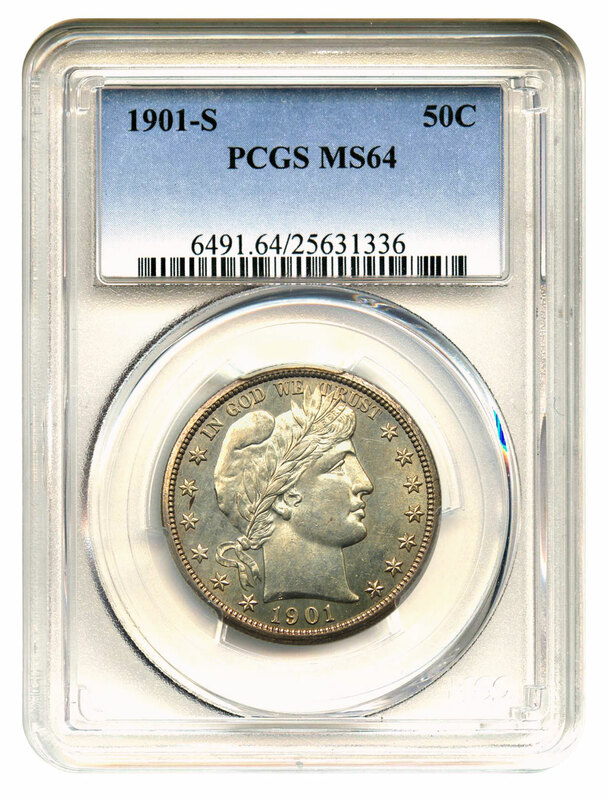 However, the PCGS Price Guide lists this coin at $8,000 and it is the finest graded by PCGS with a CAC sticker. Our special price this week for this underrated issue is $7,100 via Make Offer. Why we love it: The Barber halves as a series are condition rarities in choice uncirculated and finer conditions. You occasionally find dates that are almost unseen in uncirculated condition at all. This 1901-S hails from a healthy 847,044 mintage and is one of only 53 coins total certified in all grades of uncirculated for the date. This near gem has a lovely strike and luster that makes up an eye appeal you would want to see for the condition. A scarce opportunity for the astute numismatist! Value: At DLRC, we’ve long thought that the 1901-S date is far underrated simply due to the difficulty of locating nice pieces. With a Greysheet value of $10,000, this is an excellent value for the rarity and we can now sell it for the discounted price of $9,500 via Make Offer! Why we love it: Before some recent releases of this type by the Canadian government’s gold reserves, these coins were virtually unheard of in mint conditions. Thankfully, now collectors have the chance to buy examples for prices that are considerably less than their former levels. 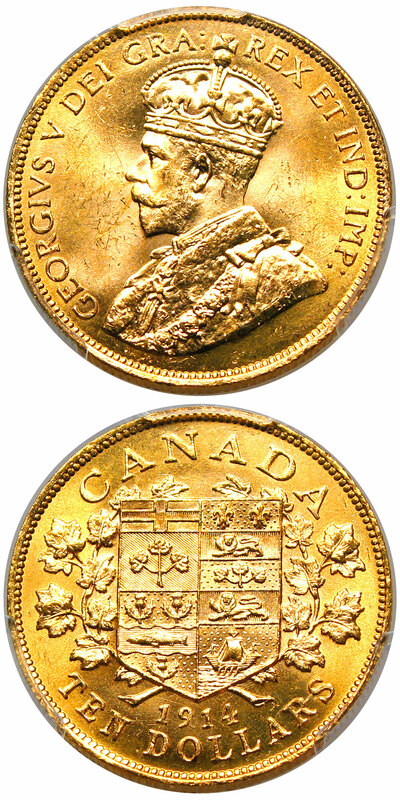 A beautiful design of King George V and the Canadian shield grace the obverse and reverse. These coins offer a neat alternative to some of the more traditional manners of owning bullion related gold coins. Value: A limited amount of these are available to the general public, but we’re able to offer this opportunity to our collectors as we received a small quantity from one of our dealer-suppliers. This coin is available for just $1,025 via Make Offer. There will certainly not be many pieces available in the coming months as these disseminate into the marketplace.